In this blog, find out how we - The B2B Marketing Lab - helped a leading two-way radio equipment and infrastructure supplier to increase their website's organic traffic using search engine optimisation and keyword-optimised content. Established in 1988 and based in the UK, DTS Solutions is a two-way radio equipment and infrastructure supplier for communities and businesses. Approved by leading manufacturers Motorola, Hytera, Kenwood and Icom, DTS Solutions supplies two-way radio communications to a variety of different industries – enabling workforces across the globe to coordinate, communicate and boost productivity. 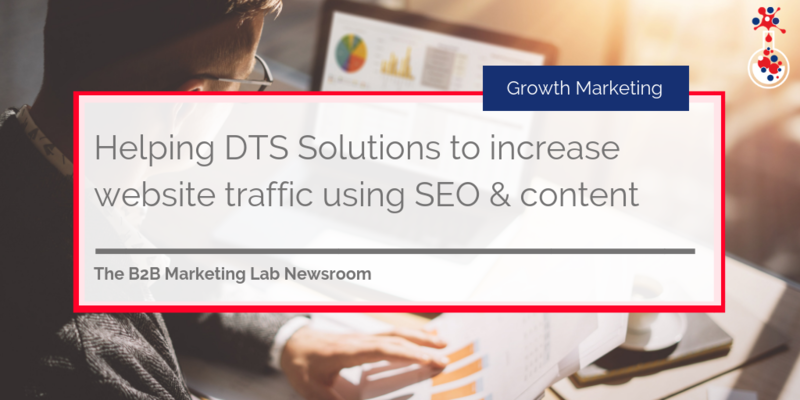 The DTS Solutions team wanted to boost the website’s online search visibility to generate more leads and business enquiries. While the website had a lot of product and service-based content – typically used at the middle and bottom of the funnel – it had very little to actually attract those at the awareness stage of the buyer journey. Therefore, the team needed help with search engine optimisation (SEO) and content creation. In essence, well-researched, concise and search engine optimised content would help interested parties to find the DTS Solutions website. Optimising the content for specific keyword terms would drive high-quality, targeted traffic back to the website and those arriving on the website would find concise, well-researched and relevant two-way radio and communications content. This kind of content would also help DTS Solutions to build trust with its target audience, demonstrate its expertise and lay the foundation for the business to become a thought leader in the two-way radio communications space. The B2BML content team worked with DTS Solutions to devise a series of blog topics that would resonate with DTS Solutions' target audience. The B2BML team started by conducting a content audit to establish what was missing and then set up interviews with DTS Solutions’ subject matter experts to create blogs on the business and health and safety challenges organisations had in regards to communication and how two-way radios addressed them. From there, the content team created detailed synopses and fed them back into DTS Solutions’ subject matter experts for approval. Once approved, the B2BML content team worked to build out the synopses into blogs. To ensure the blogs could be found via search engines and by DTS Solutions’ target audience, the B2BML team utilised SEO best practices and specific keyword terms based around DTS’ service provision. “The B2BML team have been a great asset to our team, enabling us to really focus our efforts on the attract phase of the buyer journey. From the initial content audit through to the final piece of content, they are a very structure and process-driven team providing great results”. As a result of the initial search engine optimisation and blogging programme, DTS Solutions signed on for two more blogging programmes, working with the B2BML content team to brainstorm, draft and publish 16 more search engine optimised blogs. 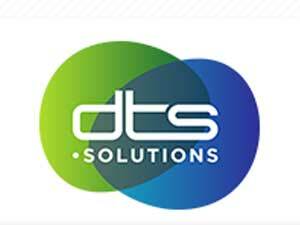 Thanks to regular content creation, traffic to the DTS Solutions website has increased significantly. The blogs are generating regular organic traffic, resonating with DTS Solutions' target audience and providing website visitors with other ways to engage than ‘contact us’. The B2BML team produced the first batch of blogs in July 2017 and since then, the number of keywords DTS Solutions is ranking for on page 1 of Google has increased by 38%. Through SEO best practice and regular content creation, DTS Solutions has laid the foundation for a more comprehensive content marketing strategy and is now in a position where it can create more in-depth content assets to complete the buyer journey and nurture website visitors. Well, with the blogs laying the foundation for further content creation, DTS Solutions can think about creating things like pillar pages, case studies and other content that ties into their overall marketing and sales objectives. As well as repurposing the existing blogs for use in pillar pages, DTS Solutions can now look to turn their existing content into videos for use on the website and in sales collateral - providing another way to engage with interested parties. With high-quality, search engine optimised content in place, DTS Solutions can now also think about implementing lead capture to track their content marketing efforts and demonstrate the return on investment of their search engine optimisation and content marketing. To find out more about how to create content that attracts website visitors and converts them into leads, download our free eBook by clicking the button below.